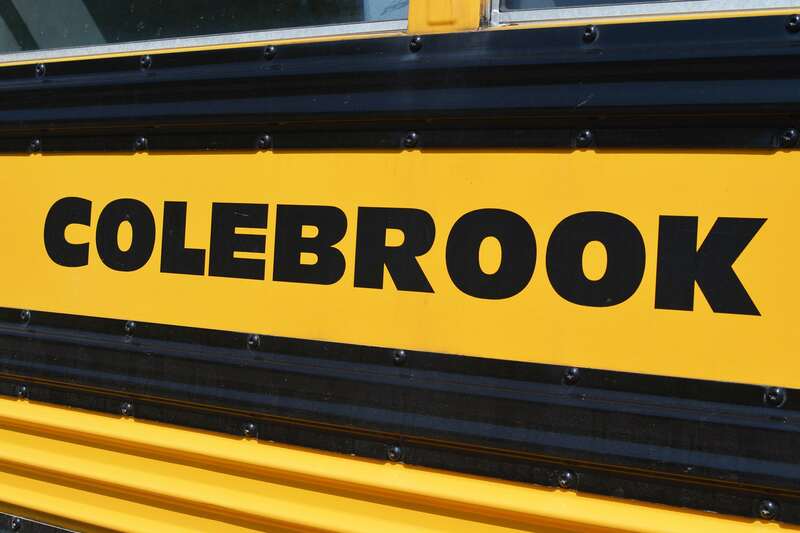 Colebrook – The 2016-17 school bus routes for Colebrook Consolidated School are listed here. Region 7 – The 2016-17 school bus routes for Colebrook and Norfolk students attending Region 7 Schools are listed here. NOTE: NOTE: The time for each bus route is the approximate time the bus will make its first pickup in the morning. Adjustments will be made as necessary and as soon as possible. Students should be at their stops 5-10 minutes before the time listed on the bus route. The stop times can vary 5-10 minutes either way, depending on traffic, weather and the number of students riding the bus. Please do not worry if a bus is late, especially at the start of a school year when it typically takes a few days for kindergarten children and new students to become accustomed to the bus routes and schedules. If, however, you have concerns about your bus being consistently late over a period of several days, please contact the Winchester office at 860-379-0020. It is important that students remember to stand at least 10 feet from the road and not move toward the bus until the bus driver nods his or her head signaling that it is safe to board the bus. Northwestern Regional High School – 7:34 a.m. – 2:07 p.m.
Northwestern Regional Middle School – 7:34 a.m. – 2:07 p.m.
Colebrook Consolidated School – 8:30 a.m. – 3:15 p.m.
Northwestern Regional High School – 9:34 a.m.
Northwestern Regional Middle School – 9:34 a.m.
Colebrook Consolidated School – 10:30 a.m.
Northwestern Regional High School – 12:05 p.m.
Northwestern Regional Middle School – 12:05 p.m.
Colebrook Consolidated School – 1:00 p.m. If Colebrook schools are closed, there are no buses to out-of-town schools. Buses follow the Colebrook schedule for delays and early dismissals due to inclement weather. The safety of students is the top priority for All-Star Transportation. Our policy that parents be present at the bus stop for pick-ups and drop-offs is a reflection of our concern for safety. Parents are required to be present at the bus stop. If parents are not able to be present at the bus stop, drivers contact the terminal office, which reaches out the the school so that responsible adult can be authorized to substitute for the parents. Parents are highly recommended to be present at the bus stop. If parents are not going to be present, they must provide a note to Batcheller or Pearson school stating that their children are allowed to exit the bus without an adult present. Parents are not required to be present at the bus stop. If parents are normally present at the stop and are not able to be present, then a call to All-Star Transportation is required. In the event a change to a pick-up and drop-off schedule is needed during the school year, parents need to contact their student’s school office to request a change form. If you have any questions, please contact All-Star Transportation’s Winchester office at 860-379-0020 or email [email protected]. 1. Students should be at their bus stop five minutes prior to their scheduled pickup time. 2. Students should stand back 10 to 15 feet from the road whenever possible. 3. Students should wait for the school bus to come to a complete stop and for the driver to nod his/her head before approaching the bus. 4. Children should never run after the bus as it pulls away as the driver may not see them. 5. If students need to cross in front of the bus, they should wait until the bus driver nods his / her head to signal it is safe to cross the street. 6. Students should cross at least 10 feet in front of the bus; if you can’t see the driver then the driver can’t see you. 7. If a student drops something in front of the bus, the student should leave the item where it fell until getting the driver’s attention and permission to retrieve the item. 8. No student should ever run towards / from the rear, alongside of a bus. A driver may not see a student in some danger zone blind spots. 9. Shout out to get the driver’s attention if you need them to remain stopped for any reason. 10. Be courteous, no profane language. 11. Do not eat or drink on the bus. 12. Keep the bus clean – put all litter in trash cans available on all buses. 13. Cooperate with the driver. 14. No smoking, including electronic cigarettes / vaping. 15. Do not destroy bus equipment / fixtures. 16. Remain seated until the bus is fully stopped. 17. Keep hands, heads and feet inside the bus. 18. The bus driver has the authority to assign seats. 19. Know the school bus danger zones.